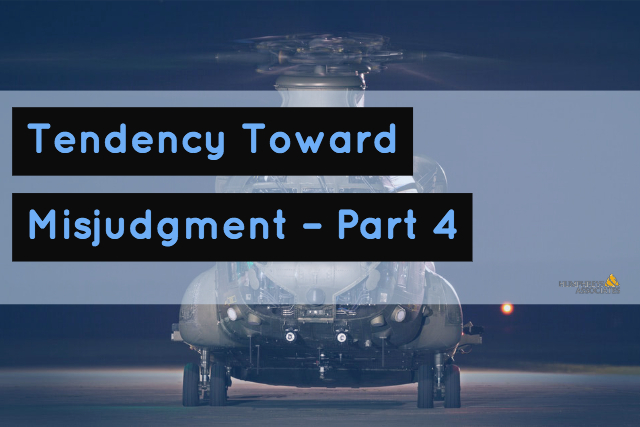 This is the fourth and final blog in this series about the human tendency toward misjudgment. In Parts 1, 2, and 3 we learned about Charles (Charlie) T. Munger, Vice Chairman of Berskshire Hathaway and partner of Warren Buffet, and his listing of 25 innate human tendencies toward misjudgment that we harbor. In those three blogs we learned much from him and we will continue that learning in this blog. Charlie was born in 1924 so, at the time of this blog, Charlie he is 94, a wise old man from whom we should learn. As mentioned previously, I went through each of the 25 “tendencies” that are defined and discussed by Charlie and tried to think about how the tendency could disadvantage or could potentially aid decision making. The first of the tendencies discussed here is the “Kantian Fairness Tendency.” This does not apply to all people from all cultures around the world, but it certainly does to those you are most likely to be engaged with; those at your place of work. The tendency is that people tend to give and expect fair treatment. It is something innate and reinforced with something learned. An example would be the way people line up to wait and the way they expect others to obey the unwritten rules of waiting in line. People expect to be treated fairly and will wait their turn for that. Applying this tendency to decision-making, people expect the decision process to be fair. If it were to be skewed and unfair, they would hesitate to participate. Being unaware that there is such a bias can be dangerous to the decision-making process. If unfairness could be introduced and carefully hidden, the outcome could be skewed. Any unfairness must be rooted out, no matter how difficult. The second tendency covered in this fourth blog is subtle. It is the “Influence-from-Mere-Association Tendency.” Munger points out the problem with this tendency by explaining that if something good happened to us in the past, we will be more influenced by things that were associated with that good event or outcome. Something that is associated with a known good thing is not weighed and measured by the same standards as something that is a stand-alone non-associated item. But we do not really know in all cases that the things we are considering really factored into the previous success at all. If we are told that or assume that or just plain “know that” from company lore, we are on dangerous ground. We would need to know the exact cause and effect chain for the good outcome in the past to be sure we are dealing with a positive associated influence. About the best we can do is be skeptical and challenge things that are presented as associated with previous good outcomes. Our process should require proof of association when association is a factor. The third tendency here is one we should all be very familiar with. Munger calls it the “Social-proof Tendency.” You might know it by the name “groupthink” or “the herd instinct.” We need to understand that people tend to act and think as the others around them act and think. This tendency can become an issue in a team or group charged with deciding a crucial issue. Will the members have the strength for independent thought and action or will many of them “go along to get along”? The instinct can be much worse if the situation is a high stress one. The herd must react quickly to stress and the first movement, of the first spooked members, could lead to a stampede. Our decision process has to be sensitive to this and counter it is if needed. Deciders must be coached to avoid being a blind follower and to value independent thought and action. If necessary, the process might have to require mixing the attendance or substituting more independent-minded people. Another powerful tendency is also one that can be easily exploited against the process. This is the so-called “Contrast Mis-reaction Tendency.” This can be seen as the reaction toward what is perceived as the lesser of two evils. We have all been taught that it is good to compare and contrast choices; but that is only useful when enough truth is known about the choices. A manipulative manager might use this tendency for mis-reaction by explaining to the deciders that there are two outcomes. The first is Outcome A which is described by the manager in such terms as to leave no doubt this is a terrible choice. The second one is Outcome B, also not good, but which appears to be so much better that A; by contrast, our reaction is a mis-reaction toward the one that is automatically more appealing. In this way, the unknowing members of the team see the obvious contrast and are drawn to the outcome favored by the manager while, to them, the whole process appears above board. Our process must be made to present all the choices and to treat them factually, so an uninfluenced choice is made. A good decision-making process does not make false contrasts. There is not enough time to cover all the tendencies fairly. To do that, you should attend a Humphreys & Associates workshop to explore the entire subject of decision making. In closing, I am going to postulate a situation where the authority to make a crucial decision is assigned, in a high stress situation, to a weak “groupthink team” with a strong leader who has a bloated opinion of himself. The team has been shown some very limited choices, some of which have been described as distasteful ones. The leader is in denial and trying to avoid loss. He wants to force a quick decision. How do you rate the chances of this scenario yielding a good well-considered decision, now that you can see the underlying tendencies to misjudgment? Good lesson -but far afield from EVMS. IS Ethics part of your curriculum? A valid point to be sure, Mr. Levins. I do wonder, however, if the judgment and decision-making trend is something that should be more strongly linked to EV. In earned value we measure the accuracy of predicting the work (planning and forecasting) and the effectiveness of the delivery. The whole point of EV is to measure performance and thus give the chance to correct it. But humans are the ones who input the data for EV, and their inputs can be pretty irrational sometimes. For example, the Planning Fallacy, Optimism Bias, Ostrich Effect, Strategic Misrepresentation, and Anchoring Effect all explain the tendency for people to predict project activities with a high degree of inaccuracy. And Daniel Kahneman was doing research around this topic for DOD 40 years ago. If planning a project has all these potential errors, and forecasting during project execution can have them as well, then EV gives us an opportunity to measure what is going on and correct it. One might make the argument that EV is THE place for discussing this topic, as EV is likely one of the few tools that can give us the ability to give indications of human errors prevalent in projects. And, with methods such as Choice Architecture we might be able to design EV processes to improve activity prediction by better accounting for human behavioral tendencies. But, I could be wrong. Its got to be worth exploring further, though, I would assume.